Oyo government approves two billion naira for rehabilitation of 100 public secondary schools and construction of four compartments VIP toilets. The recent 54.4 per cent pass rate in WASSCE, is the best from Oyo state in the last 18 years and the state government is already claiming responsibility for the improvement. Even if the statistics does not indicate if the rating is more of performances from private schools or public schools, the commissioner for information says government’s efforts were already yielding fruitful results. We can pardon him since students from the state also emerged first and second best in the 2017 WASSCE in Nigeria as well as the best 2017 WASSCE students in public schools. And whether government deserves the accolade or not, the good news is that the success is inspiring them to invest more in the sector. The government has now approved two billion naira for rehabilitation of 100 public secondary schools and construction of four compartments VIP toilets. This was announced in a statement by the State Commissioner for Information, Culture and Tourism, Mr. Toye Arulogun and made available to newsmen in Ibadan on Sunday. Arulogun stated that the projects, which cost N2 billion would be handled by 10 contractors across the state. He said that the upgrading of infrastructure in schools to facilitate the provision of enabling learning environment and fast track transformation and repositioning of education sector in the state, was non-negotiable. The commissioner emphasised that the Ajimobi-led administration had prioritised education as one of its legacy sectors. So, in the new project, 34 schools would be renovated in Ibadan, 30 in Oke Ogun, 15 in Ogbomoso and 12 in Oyo zones while the remaining nine were in Ibarapa zone. 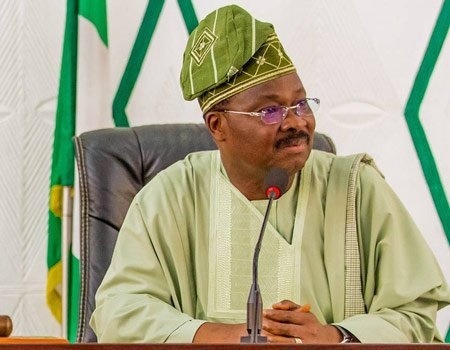 Oyo government says it would not relent in its resolve to positively turn around the education sector.